Properly disposing of your old refrigerator and kitchen appliances is important because of harmful chemicals that can damage the environment. Let Student Works Disposal take care of your refrigerator removal and we’ll ensure that it’s disposed of responsibly. We’re big believers in recycling – why? Here’s some interesting facts that will help answer this question. Recycling paper instead of making it from new material generates 74 percent less air pollution and uses 50 percent less water. Recycling aluminum saves 95% of the energy needed to produce new aluminum from raw materials. Energy saved from recycling one ton of aluminum is equal to the amount of electricity the average home uses over 10 years. When you toss out one aluminum can you waste as much energy as if you’d filled the same can half-full of gasoline and poured it into the ground. Glass never wears out — it can be recycled forever. We save over a ton of resources for every ton of glass recycled — 1,330 pounds of sand, 433 pounds of soda ash, 433 pounds of limestone, and 151 pounds of feldspar. Every year we make enough plastic film to shrink-wrap Texas. Styrofoam is un-recyclable- you can’t make it into new Styrofoam. The industry wants you to assume it is- don’t BUY it! If only 100,000 people stopped their junk, mail, we could save up to 150,000 trees annually. If a million people did this, we could save up to a million and a half trees. Producing one pound of recycled rubber versus one pound of new rubber requires only 29% of the energy. 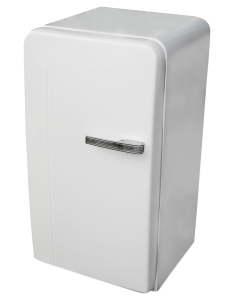 We have Curbside Refrigerator Disposal, Self Service, and Full Service Refrigerator Removal options, all at great prices. 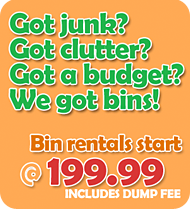 We don't just do Junk Removal Vancouver, we also have bin rentals and can help you with your moving day needs. We recycle your garbage when we can, and by hiring students we provide affordable rates for our disposal services throughout Metro Vancouver. We're more than just a junk removal company, we're movers too! For professional movers who will treat your valuables with care rain or shine give us a call! Make an appointment today. Student Works provides junk removal in Vancouver. We have honest rubbish removal rates, curbside junk removal quotes, and professional staff that ensure your job gets done right the first time.